Sold ABAN at 491 and Booked Profit 486 Rs 5 Profit………… Sold RELIANCE IND at 828 level covered 822 Rs 6 Profit…………. 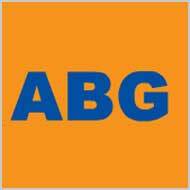 Bought ABGSHIP 390 and sold 394……… Rs 4 Profit……. What else u Want ?? The cabinet on Thursday finished drafting the Lokpal bill aimed at curbing graft in the government, but activists slammed it saying it was not tough enough to fight widespread corruption which poses a risk to economic growth. The bill seeks to set up a Lokpal to investigate charges of corruption against ministers and lawmakers, but does not cover the prime minister, judges and bureaucrats. The bill will need parliamentary approval to become law. It is set to be introduced in parliament next week, Law Minister Salman Khursheed said. “It has been this government’s agenda to bring greater transparency in functioning, this is an example of that,” Information and Broadcasting Minister Ambika Soni said. Slamming the bill as too weak because it did not cover the prime minister and judges, Anna Hazare, the social activist whose hunger strike in April forced the government to begin drafting the bill, said he would begin a second fast against corruption, raising the sceptre of a fresh wave of anti-government protests. 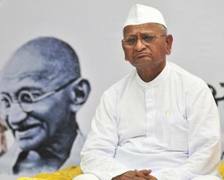 “They have not cheated Anna Hazare, they have cheated the country’s people,” Anna Hazare, an activist whose four-day long fast for the bill in April drew wide support from a public angered by a slew of graft scandals, told Times Now television. “For this reason I, along with the entire nation, will sit on protest … till I have no life in my body. The Bharatiya Janata Party, which has taken on the government over graft, said it did not “appreciate” the non-inclusion of the prime minister in the bill. Khursheed said bringing a serving prime minister in the Lokpal’s remit would affect his ability to work effectively. He added that the law permitted a probe after the prime minister’s term had ended. “Anyone who challenges this procedure is not challenging the government of the day, is actually challenging the parliament of our country. It is for them to decide if they want to challenge the parliament of our country or not,” he said. India ranks 78 on Transparency International’s global list of corruption perceptions and global consultancy KPMG has said graft could stunt the country’s economic growth. Hazare’s fast in April had struck a chord with tens of thousands of Indians fed up with a series of corruption scandals in Prime Minister Manmohan Singh’s second term, which have been linked to members of his government and party. Last month, yoga guru Swami Ramdev and thousands of his followers staged a mass hunger strike in New Delhi to demand reforms, including the death penalty for corrupt officials. Dozens were injured when the government sent a phalanx of police in with batons and tear gas to break up their peaceful protest. The corruption charges have eroded Singh’s authority, paralysed policymaking, and weighed on India’s growth potential. Two ministers have resigned, one of whom is A. Raja, who faces allegations he caused a loss of USD 39 billion to the government by rigging the issuance of lucrative 2G telecoms licences. RELIANCE close watch 828…………… Magical figure 828…………. Last hope for bulls this level once if break & volume non stop slide will come target 820 813 thereafter 800…………sell if break the level…………. ABAN OFFSHORE……….. now fresh breakout……….. Yes, if break the level Free Fall will expect !!!! LICHSGFIN now strong support at 210. If break Free Fall will expect……………. 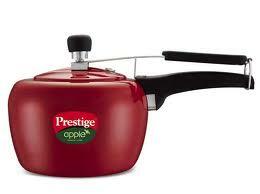 Sell Sell Sell once if break 210…………..
Another HOT Call TTKPRESTIG ??? which will break ?? if break going up or down ??? Three months after the civil society initiated a movement, the Union Cabinet today approved the Lokpal Bill keeping the office of Prime Minister outside its purview during his term in office and also excluded higher judiciary and conduct of MPs inside Parliament. The bill, which has included some of the provisions of the Jan Lokpal Bill proposed by Team Anna Hazare, gives permission to Lokpal to probe any Union Minister or officials of Group A and above without any sanction. Minister Ambika Soni told reporters after the meeting. She said the Prime Minister was heard with “great respect” but the ministers discussed the “pitfalls” of such a proposal including its possible adverse effect on the stability of a government and creation of uncertainty. The bill will be introduced in Parliament in the first two days of the Monsoon session beginning August one. The Lokpal consisting of Chairperson and eight members, half of them judicial, will have its own prosecution and investigation wing with officers and staff necessary to carry out its functions. Court, Law Minister Salman Khurshid, who was also present with Soni and Minister of State in PMO V Narayanaswamy, said. Persons with “impeccable integrity”, with 25 years of experience in administration who has dealt with corruption and vigilance, would also form part of the Lokpal, he said. The institution would inquire into allegations of corruption in respect of the Prime Minister “only after he demits office”. corporation, trust, society or autonomous body set up by an Act of Parliament. The Lokpal would not require sanction or approval under Section 197 of the Code of Criminal Procedure, 1973 or Section 19 of the Prevention of Corruption Act, 1988, in cases where prosecution is proposed. The Lokpal will also have powers to attach the property of corrupt public servants acquired through corrupt means. Claiming credit for bringing in the much-debated legislation, Soni said the issue was part of the manifestos of the Congress party and the UPA-I government as was the Right to Information and the rural employment guarantee scheme. “With this, another major commitment is being fulfilled”. The time limitation of a corruption case would be seven years from the date it is registered, Khurshid said, adding that there was no time-bar so far as Prevention of Corruption Act was concerned. “This is a special and important provision that has been made. It would ensure accountability and transparency and will not adversely affect” governance and administration. “We don’t want to give people unlimited protection, neither do we want to throw them to the wolves,” he said. others, the Speaker, the Leaders of Opposition of Rajya Sabha and Lok Sabha, one Minister and eminent jurists. Lokpal, which would have a five-year tenure, would not have the power to prosecute. It would recommend prosecution to the Supreme Court, he said. Karnataka Chief MinisterBS Yeddyurappa was Thursday asked to step down immediately by the Bharatiya Janata Party (BJP) after the Lokayukta indicted him for illegal mining in the state. The decision to ask Yeddyurappa to quit was taken by theBJP parliamentary panel that met at the residence of party president Nitin Gadkari, spokespersonRavi Shankar Prasad told reporters. “The parliamentary boards unanimously decided that there has to be a change in the Karnataka BJP legislative party. The party has advised Yeddyurappa, the current chief minister, to tender his resignation immediately,” Prasad said after the meeting. BJP’s Arun Jaitley andRajnath Singh will fly to Bangalore Friday for the election of the new chief minister in Karnataka. A defiant Yeddyurappa, 68, the BJP’s first chief minister in the south, had ruled out his resignation. “The question of resigning does not arise,” Yeddyurappa told reporters Wednesday night as he flew to the capital for an emergency meeting with BJP leaders. Yeddyurappa, who was accompanied by several ministers and state party chief K.S. Eshwarappa, met Gadkari and returned to Bangalore Thursday morning. Karnataka ombudsman N. Santosh Hegde had Wednesday recommended the prosecution of Yeddyurappa for multi-crore illegal mining in the state along with four ministers and others. Before leaving for Delhi, Yeddyurappa said the report “needs detailed study”. “Also most of the cases referred to by the Lokayukta are old. Some of these cases are in Supreme Court and some in high court,” he told reporters at Bangalore airport. He also said the state cabinet will meet in Bangalore Thursday to discuss the report. The 25,228-page report seeks trial of Yeddyurappa and his four ministers, among others over illegal mining in the state, estimated to have cost Rs.16,085 crore (Rs.161 billion) due to illegal mining and export of iron ore from 2006 to 2010 in royalty, excise duty, value added tax and other levies. Today Strong support at 5490 level…………….. If trade below & volume again panic will come next down side support 5440 level……….. If not break 5490 then trade above 5555 heavy buying will come means Short covering will expect next resistance 5580 5610 level…………..
Today another HOT Call one Pharma stock once if break the level non stop rally will continue……………. Market going up or down……….. but this pharma will blast………….. Which script ??? Which rate ??? A judge investigating corrupt mining practices in a Karnataka said Wednesday that illegal extraction had cost the government Rs 161 billion ($3.6 billion). He accused local politicians in Karnataka, including the state’s chief minister B.S. Yeddyurappa, of causing the losses from 2006 to 2010 via the illicit mining of iron ore, much of which is thought to have been shipped to China. “An amount of Rs 16,085 crore has been lost to the exchequer between 2006 and 2010 due to the illegalities and irregularities linked to the grant of licences and the export of iron ore,” the judge said in state capital Bangalore. Themining scam is the latest in a series of scandals to break in India, which is still reeling from the bungled sale of telecom licences in 2008 which is estimated to have cost the country up to $40 billion. The national telecom minister and 14 others including company executives and bureaucrats are currently on trial facing charges of manipulating the process to favour certain companies in exchange for kickbacks. Media reports have suggested that the ombudsman’s explosive findings could trigger a collapse of theKarnataka government, which is led by the main national oppositionBharatiya Janata Party (BJP). The allegations contained in the report are seen as undermining theBJP, which has been leading the anti-graft campaign nationally against the Congress-led government of Prime MinisterManmohan Singh. Karnataka, which accounts for a quarter of the country’s iron ore exports, banned shipments in July 2010 to curb illegal mining. Yeddyurappa said before the report was released he would consult cabinet colleagues and legal experts once he saw its contents. Hegde had earlier said that was “an element of criminality on the part of the chief minister as he heads the mining department and is responsible for all acts of omission and commission in it,” according to the media. Al Qaeda threat to Kerala shrines, Jayalalithaa? A letter posted from Chennai to this pilgrim town Wednesday warned of a bomb attack by the Al Qaida on two of Kerala’s most popular temples – the Guruvayoor and Sree Padmanabha Swamy shrines, police said. It claimed to be from the Al Qaeda and also mentioned that Gujarat Chief Minister Narendra Modi and Tamil Nadu Chief Minister J. Jayalaalitha would be assassinated in the coming days.